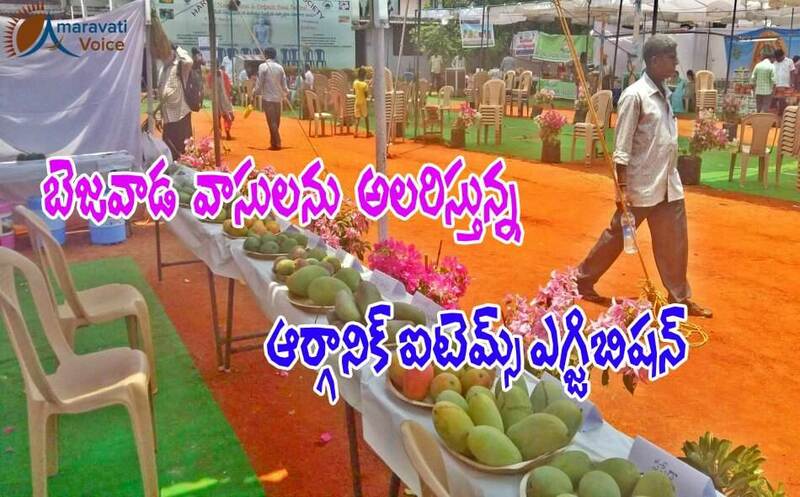 Organic Food exhibition has been organised in Vijayawada city by Harithapriya Plant Lovers Society. The exhibition is being held at Abuyudaya College premises, near Funtimes Club. The organic food items comprised of a variety of Mangoes, some types of pulses and others, which were grown by means of organic fertilisers. Farmers of various localities have participated in it by placing their organic food items in their stalls. This exhibition has drawn the attention of many people.